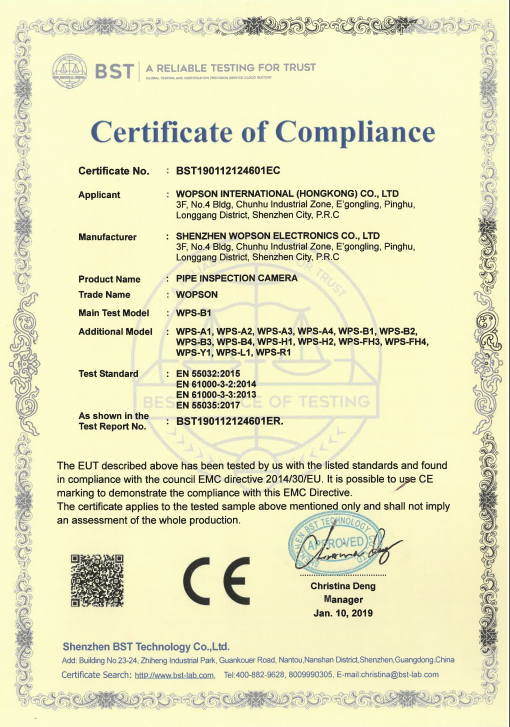 China Sewer Camera Inspection,drain Inspection Camera ,underground Utility Locating Services supplier - high quality Pipe Sewer Drain inspection camera Handheld series for sales, Pipe Sewer Drain inspection camera Handheld series manufacturer. Good video system: High definition imported CCD with small outside diameter, wide angle of view, high-definition imaging to ensure the accuracy of observation. LCD display, large capacity storage, scalable. Videos can be photographed and stored. This product is composed of three parts: host, power, monitor. To achieve a high degree of integration, so the product has easy to carry, easy to operate features, the use of people easily mastered, at the same time because of highly integrated, so vulnerable parts are few, there is not easy to damage the characteristics. 7 "LCD display can achieve video camera storage, with built-in storage media, external storage media, can be transferred between the above storage carrier, copy, delete graphics files."